Penticton BC (Penticton Vees) – Friday’s game was billed as a showdown of two top teams in the BCHL but the end result would suggest it was far from it. The Penticton Vees exploded for five goals in the first period, en route to an 8-1 win over the Chilliwack Chiefs at the SOEC. Tyson Jost and Owen Sillinger each finished with a pair of goals, and David Eccles, Scott Conway, Seamus Donohue and Luke Voltin added singles. Jost finished with a game-high five points and 10 others players picked up at least a single point for the Vees. Anthony Brodeur has still yet to lose, as he picked up his 23rd win of the season, stopping 23 of 24 shots. Jost set the tone early, as the Vees Captain scored just 57-seconds into the game. Jost took a pass out of the corner and roofed a shot from the right-circle over Aiden Pelino’s shoulder for his 27th. Sillinger doubled the Vees’ lead just after their opening power-play had expired. Sillinger picked up the puck on the left-wing, went around the defenseman, cut in front and slid the puck around the goalie’s pad at 5:53. 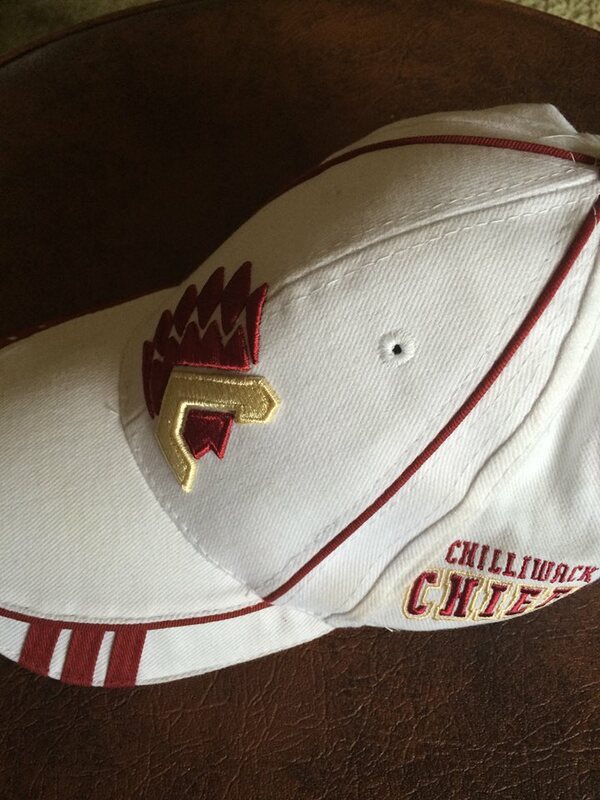 Chilliwack cut the deficit in half midway through the first on a solo effort by Taylor Allan. The forward danced his way into the Vees’ zone before wiring a shot past Brodeur’s blocker at 13:15. However, Allan took a penalty after he scored for throwing a hit on a Vee against the boards. That ill-advised penalty proofed costly, as the Vees scored on the ensuing man-advantage to restore their two-goal lead. Scott Conway wired a one-time from the left-wing for his 43rd just 72-seconds after that Chief goal. The Conway goal triggered an offensive avalanche for the Vees, as they scored two more goals in just 14-seconds. First, Luke Voltin made it 4-1 when he blasted a shot underneath Pelion from the left-wing at 15:18. Then, off the ensuing face-off, the Vees broke back in on a two-on-one, which finished with Eccles tapping-in a cross-ice pass from Jost; his first goal since November 14th. When the dust settled, the Vees scored three goals in just a minute and 29-seconds to take a four-goal lead into the intermission. Sillinger picked up his second of the game in the middle stanza, roofing a behind-the-net feed from Demico Hannoun at 4:29; his 12th of the year and fourth this month. The second period was highlighted by a melee towards the end of the period. Chilliwack’s Ryan Forbes triggered a kerfuffle behind the Vees net after he laid a shoulder into Brodeur who was out to play the puck. Forbes was given a five-minute major, an instigator penalty and a game misconduct for plowing Brodeur; three players were thrown out of the game during the donnybrook. The power-play carried over into the third period and the Vees capitalized early and it was a milestone goal for one Vee in particular. Donohue scored his first BCHL goal at 2:36 when his shot from the point had eyes for the back of the net. Jost finished what he started midway through the third, as he roofed a backhand from the slot over the goalie at 10:18 to put the finishing touches on the Vees fourth straight win. The Vees swept the three-game season series against Chilliwack and outscored them 15-3 in the process. Tonight marks the fourth time the Vees have scored eight goals in a game this season; the second time at home they’ve reached the eight-goal plateau. In three games against the Chiefs, Tyson Jost finished with two goals and nine points. Nic Jones extended his point streak to nine-games with two assists Friday. 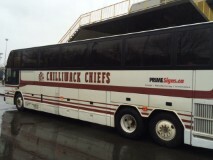 The Chiefs wrap up this three game road trip, Saturday night in West Kelowna. Be the first to comment on "Chiefs Blown Out In Penticton 8-1"